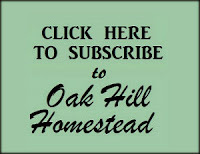 The season is winding down, and I'm harvesting herbs, flowers and seeds from the herb garden. Calendula - my plants are still blooming, so I'm harvesting some of the flowers fresh so that I can dry the petals, and others dry so that I can save the seeds. Most of the plants have produced yellow flowers, but one that recently began blooming is producing orange flowers. Catnip - the flower heads are drying up and the seeds are almost ready to harvest, although I've already cut off a few clusters that are dry enough. I plan to dry the leaves and stems to make cat toys. My inside cats love catnip, the outside cats couldn't care less. Cayenne pepper - the last little pepper on my cayenne plant has turned red and been harvested, so I've pulled the plant and will plant spinach this week. I'm going to cover the tub with a sheet of hardware cloth to keep my dogs critters from digging in the soil. 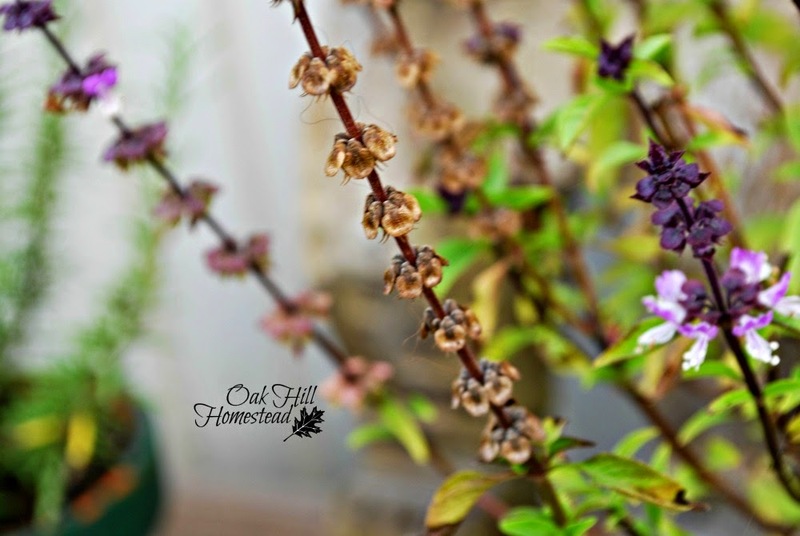 Cinnamon basil - the seed pods are drying nicely on my one and only plant. I cut off all the flower spears that were completely dry, and left the ones that are still blooming on top. 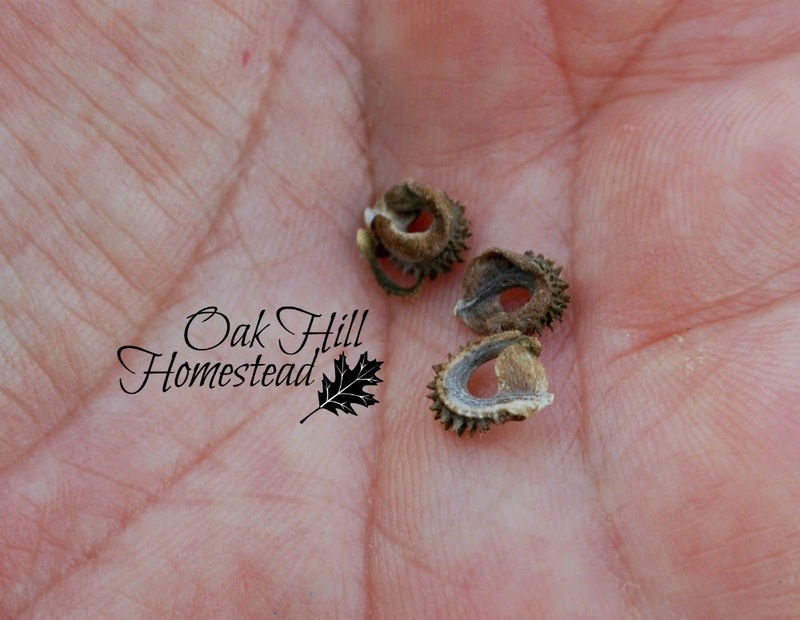 A few little black seeds are inside each seed pod. 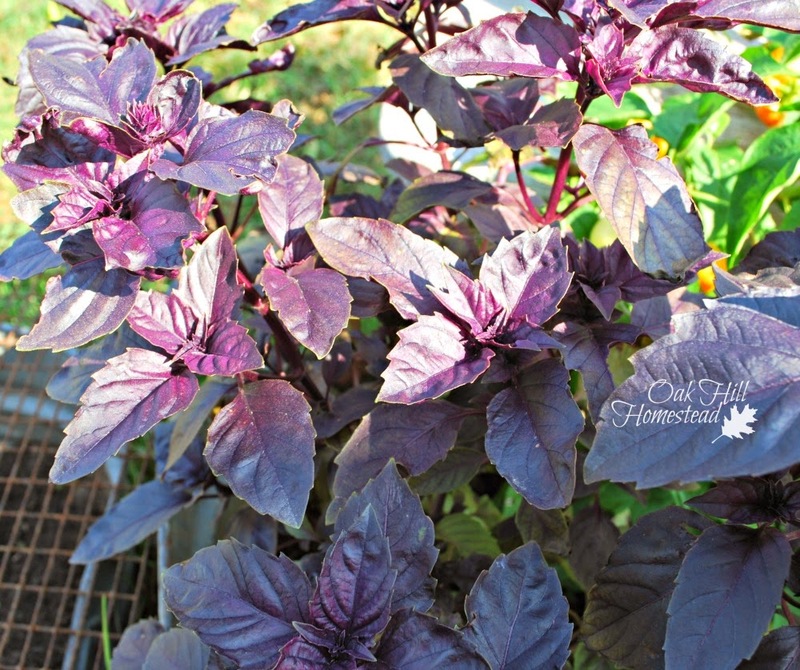 Dark opal basil - this beautiful plant is still growing like crazy, so I'm going to harvest another "crop" of leaves to dry. It's only produced one flower spear so far, which I pruned so the plant would keep growing new leaves. 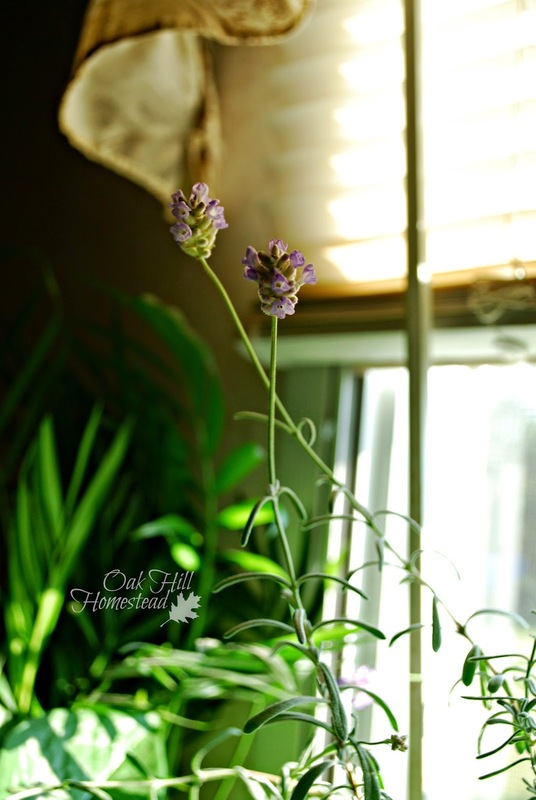 Lavender - the lavender plant has been happiest on my kitchen windowsill this summer. It bloomed again in September, then kind of dried up, but I'm glad to see that there is some new green growth on it now. I was getting a little worried about it. Lemon balm - another plant that has thrived on my kitchen windowsill over the summer. I've been harvesting the leaves regularly in order to keep the plant's rounded shape, and have dried the leaves. 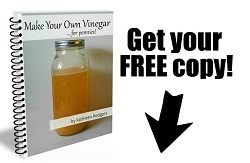 I use them in some herbal teas and remedies, and add fresh leaves to my morning smoothies and to lemonade. Marigold - there are still many marigold blooms on the plants, and just as many that are drying out. 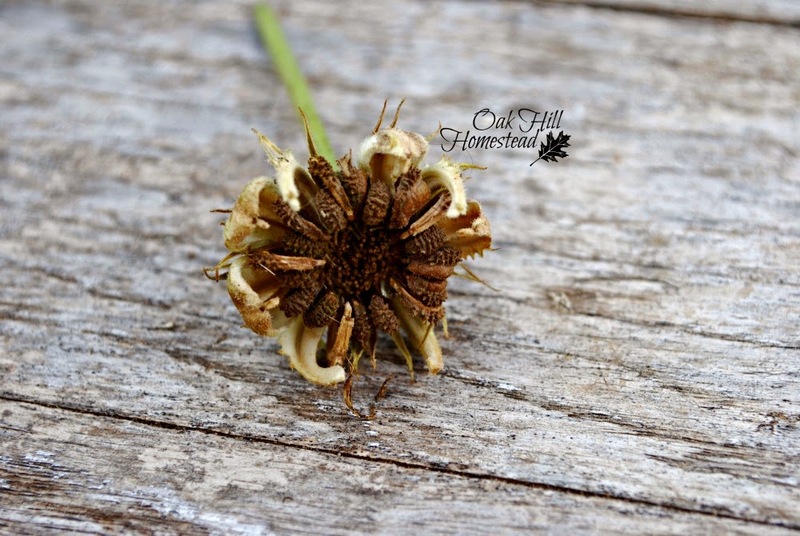 I've been pulling the seeds out of all the dry flower heads. Oregano - I'll trim these two little pots of oregano before bringing them inside for the winter, and dry the few leaves from the cuttings. 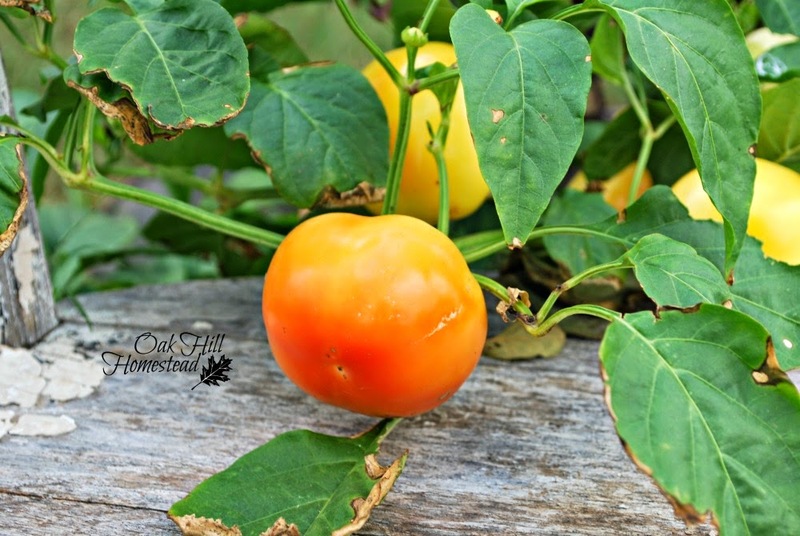 Paprika - all those fat, round peppers are finally beginning to turn orange. When they're red I'll harvest, dehydrate and powder them. The paprika and cayenne were experiments this year. Zinnias - the zinnia plants still look great too. I cut off all the dead heads and still have plenty of pretty salmon-colored blooms to look at, although they are inching past their prime. These plants have been blooming fools. I found a YouTube video that shows how to harvest zinnia seeds. I plan to bring the rosemary, oregano, and chocolate mint inside for the winter. (Is there a use for chocolate mint? I grow it because it smells good when I brush against it, but I don't know if it has a use.) I could bring the catnip inside too, but since space is at a premium and it's super easy to grow from seed, I'll harvest all of the leaves instead. I'll replant all of the annuals again next spring, and I plan to add a few new herbs as well. 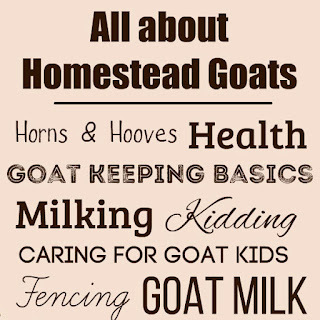 I'm particularly looking for comfrey. What herbs do you grow, and how do you use them? I have received some quality herbs from Horizon Herbs, Kathi. I was especially happy with their comfrey roots. I bought the bag with 6 roots back in the spring and they have been very prolific. So much so, that I have harvested 4 to 8 leaves everyday for much of the summer to feed my chickens. Thanks for the herb garden tour. I always enjoy seeing other folks techniques and harvest. Thank you, Fern. They popped up in a search I did, but I didn't know anyone who had dealt with them before. 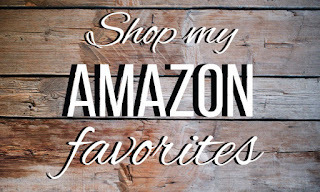 Thank you for the recommendation. I grow ALOT of herbs with my kids, but I don't know how to use most of them. I have been trying to learn. Any suggestions about where to start so it won't be too overwhelming? we grew dill fennel oregano thyme lemon balm lavender bee balm lemon grass sage basil marjoram and a few others I might be forgetting. I did not know how paprika was made, that's awesome. we grew cayenne this year and powdered it for cooking. So paprika would be just as easy I guess. I just didn't know it was peppers. So cool! Thanks for writing this! I love lemon balm ! Nice herb garden :) that is on my "someday" list. Christina, I hope you'll come back and read this; there was no email associated with your comment. Dill, oregano, thyme, sage, basil, marjoram are excellent used fresh or dry in cooking. 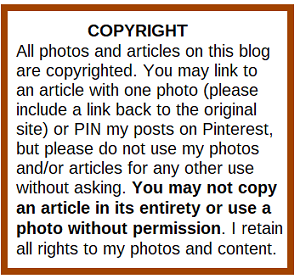 My post How to Dry Homegrown Herbs tells how to dry them. Dill heads are also used in pickling. 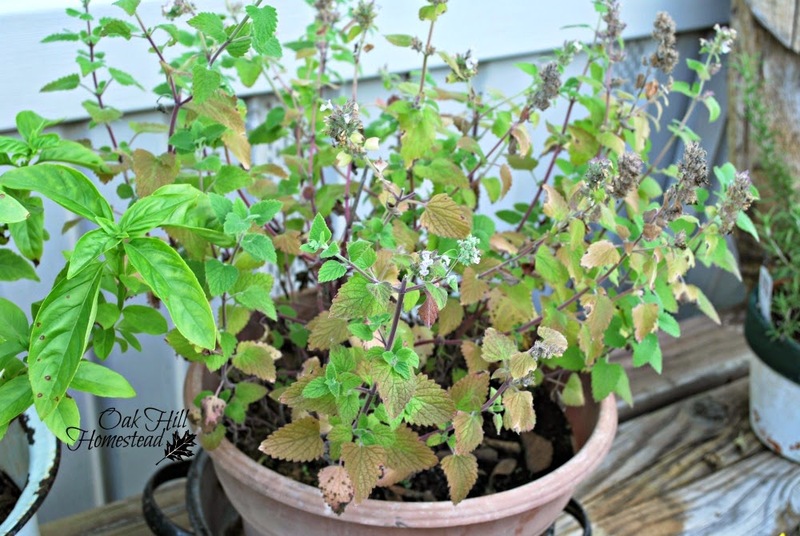 See Using Lemon Balm for ways to use this lovely herb. I'm just delving into lavender this year. Bee balm is a wonderful bee-attracting plant and is worth growing for that reason alone. 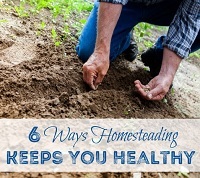 You have a wonderful and varied herb garden! Your children are so blessed to have this experience. Thank you, Sandra. Isn't lemon balm just a lovely plant? It smells delicious! 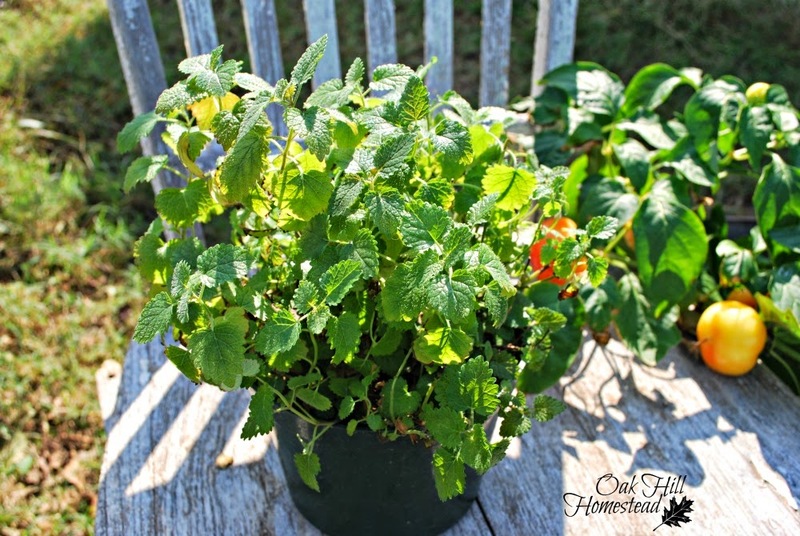 It's useful too: Using Lemon Balm. I just saw a chocolate mint extract recipe on FB so I went back and got it for you. Here is the link!!! Let me know how it comes out, sounds yummy! 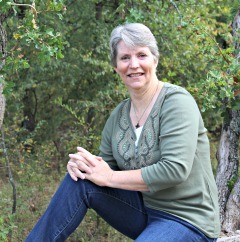 Christina, I've been slowly "adventuring" - trying out new recipes on my meat-and-potatoes hubby - and we've found some wonderful dishes that are now favorites. Try googling "recipes with marjoram" or another herb for some ideas - I'm going to try "sautéed carrots with lemon and marjoram" as a side dish tonight, it sounds delicious. I like fresh dill leaves sprinkled on top of sliced tomatoes and cucumbers as a summer salad. I don't know if you're growing tarragon, but try my Broccoli and Cheddar Soup - it's wonderful! I was brought up on plain and simple cooking, and as I said, hubby likes meat and potatoes, but I'm really enjoying finding flavorful, herb-seasoned dishes. I hope you will too. Thank you, Bobbi! I just so happen to have everything on hand, even some chocolate nibs, so I will be making this! I think dill is my favorite. I love it on fresh veggies. :) Experience is the best teacher! You're right, it is. And experimenting is how you get experience. Be adventurous! You have quite the selection! Saving seeds is so gratifying. 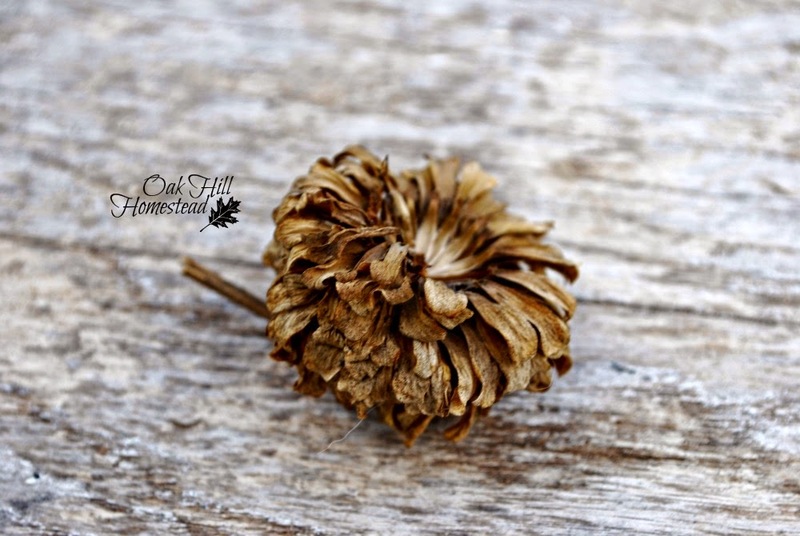 Thank you for sharing your outdoor post on this week's Maple Hill Hop! 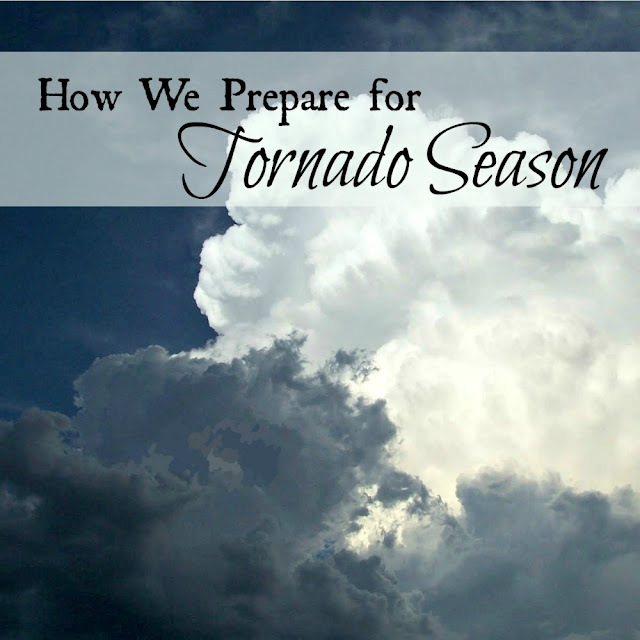 Thanks for linking up to the Tuesday Garden Party! Shelly, believe it or not, I have seven outdoor "barn" cats and not one of them is interested in catnip! My 3 indoor cats can't get enough of the stuff. I'm sorry that your catnip was eaten by cats that weren't even yours! Wait, saving your basil seed .... Why haven't I ever thought of this all these years. Thank you for that and for the link to the zinnia seed harvesting. I watched it and it was very helpful. You're welcome, Green Bean. 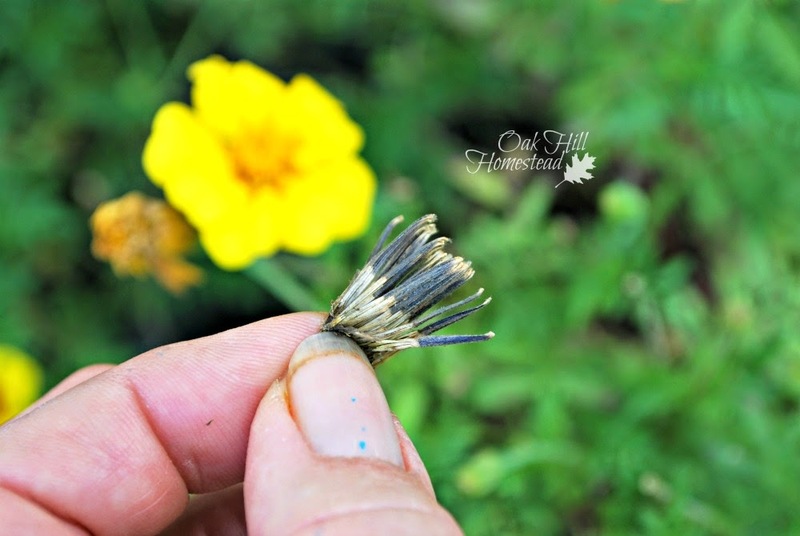 Those little seed pods can be kind of tough to get seeds out of, but it can be done! I rub them together between my hands to break the pods open. Other than basil and rosemary I never plant enough herbs. I've determined to be better next year as I thought some dried herbs would make some nice Christmas gifts for several family memebers. Thanks for sharing at Simple Lives Thursday; hope to see you again this week! Angi, I have more dried basil than I will ever be able to use in a lifetime and I too am thinking it would be a nice gift along with some other herbs or seasoning mixes or something.